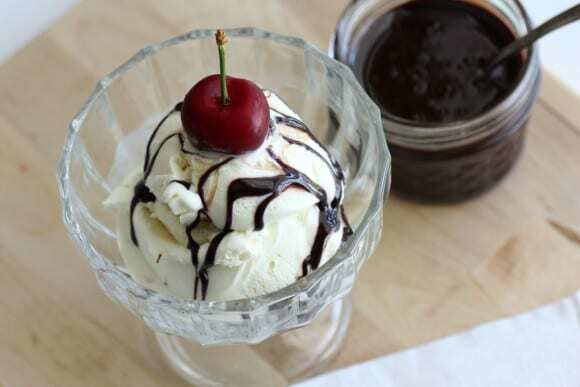 My husband and I were recently sharing favorite food memories, and he told a story of how when he was little, and had dinner at his grandmother's house, he'd get to go into her refrigerator, pull out the chocolate syrup, and pour it all over his vanilla ice cream all by himself. He was so proud of himself and the ice cream tasted so good. He said a lot of times it got super messy, but his grandma didn't mind. Aren't grandmas great? So as a tribute to my husband, and his happy chocolate syrup memories, and as a tribute to my favorite paper towel company, Bounty, for cleaning up messes, I'm sharing my homemade easy chocolate syrup recipe. Now you can make something delicious and gooey, and not have to worry about how you'll get it off your countertops. 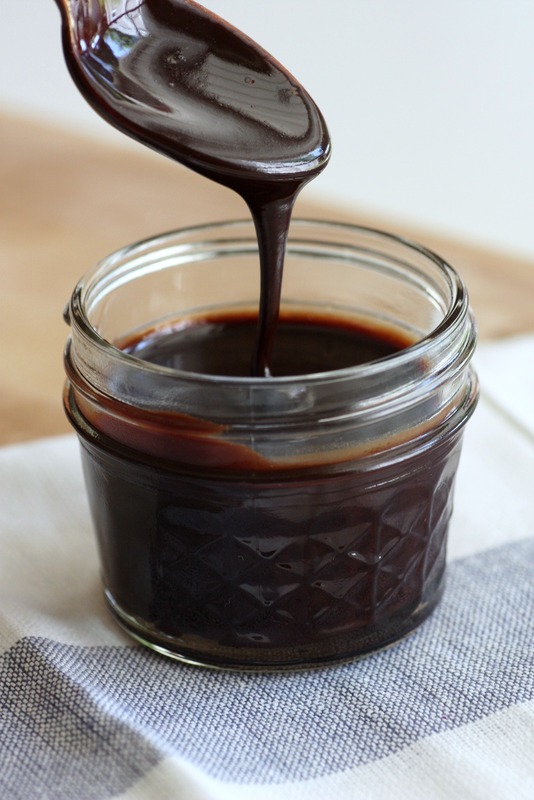 What makes this syrup stand out from store-bought chocolate syrups is the layers of flavors. I used two types of sugar, vanilla, and a touch of salt to give it some bold richness. If you love chocolate syrup on your ice cream or for making delicious chocolate milk, you must try my recipe. 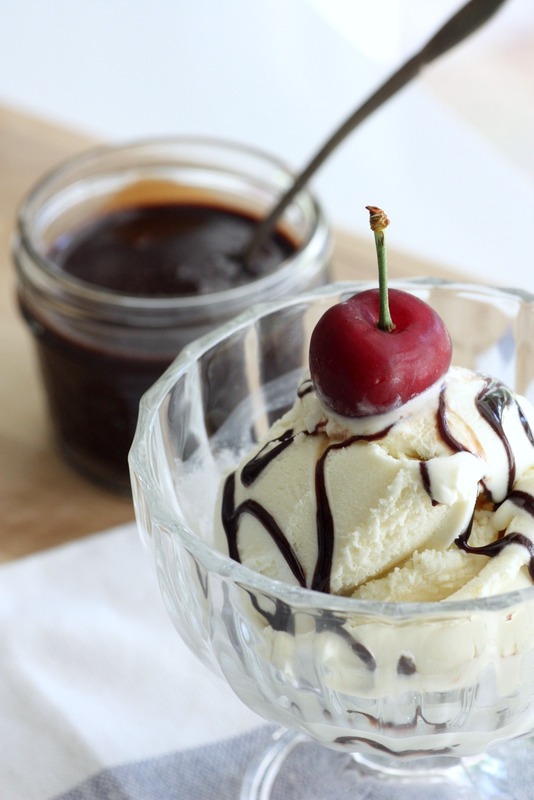 It's simple and yet so decadent. Add the brown and granulated sugar to a medium sauce pan. Add 1 cup of water, and stir over high heat until it comes to a boil. As soon as it comes to a boil, turn the heat down to low, and whisk in the cocoa, about 1/4 cup at time. 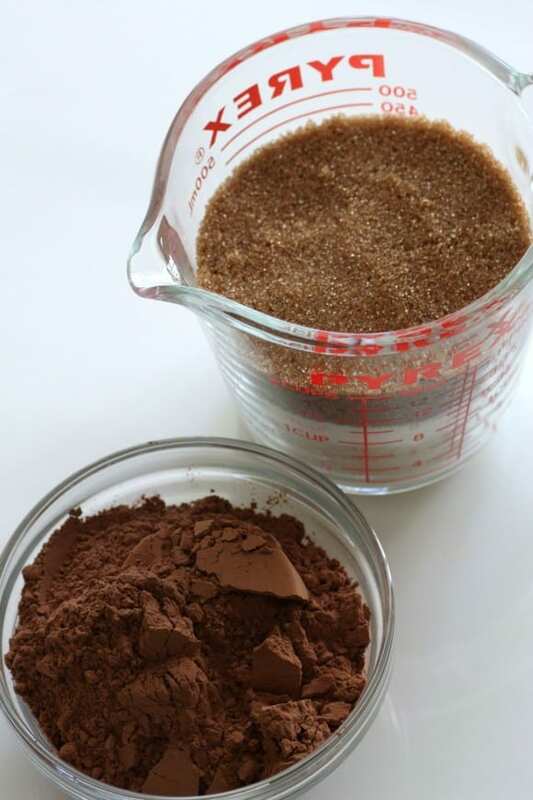 Whisk each addition of cocoa powder until it is fully incorporated. Keep whisking over low heat for about 5-10 minutes while the syrup reduces. You'll know it is done when you lift the whisk, and it no longer drips. As it cools it will thicken quite a bit, so be careful not to over-reduce it. Turn off the heat, and whisk in the vanilla. 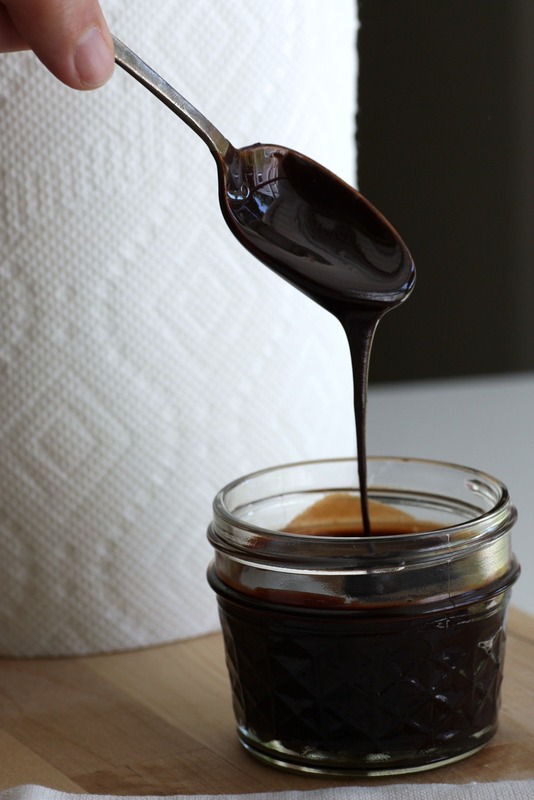 While it is still hot and easy to pour, empty the pan into a mason jar, squeeze bottle, or whatever container you want to store it in. Look how rich and delicious it looks. 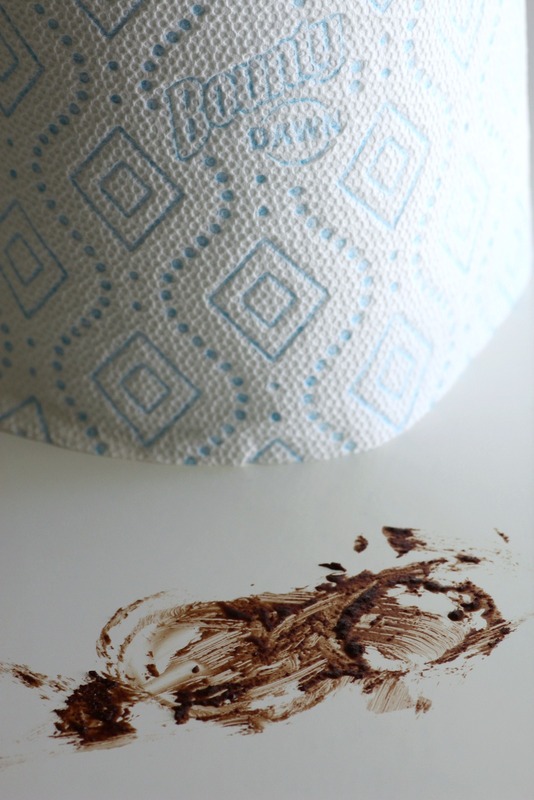 Whenever I cook or bake, I always keep a roll of Bounty paper towels within reach. I'm an (admittedly) messy cook, so it's like my security blanket, and has saved me on many occasions. Even though everything looks neat in the photos, there was a lot of wiping and cleaning during this recipe prep and shoot. Bounty just turned 50. It's definitely been in my house since I was kid. My mom only bought Bounty because she thought it was the best. Now that I'm an adult, I have to agree. It's thick and absorbent, plus, the Select-A-Size feature is awesome. That way I only use what I need. And when it's time for serious cleanup, I pull out my roll of Bounty with Dawn. I wet the paper towel, and because it already had dishwashing soap in it, my countertop, stovetop, and table mess cleans up super fast and easy. I leave you with this last photo... It really tastes as good as it looks! 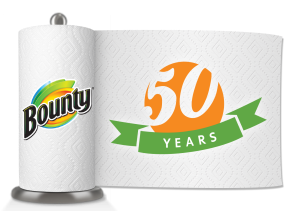 This post is brought to you by Bounty, celebrating 50 years.